I love this piece from Laura Grace Weldon ... 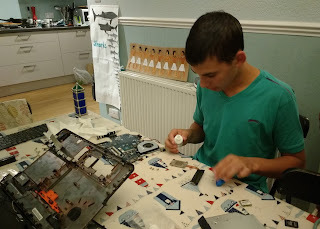 When I talk about Mentoring Self-Directed Learners, I talk about building "the Maker habit" .... Like Laura's children, my eldest son has never been one to follow instructions ... HERE Laura gives 8 cheap, easy, playful ways to raise makers.